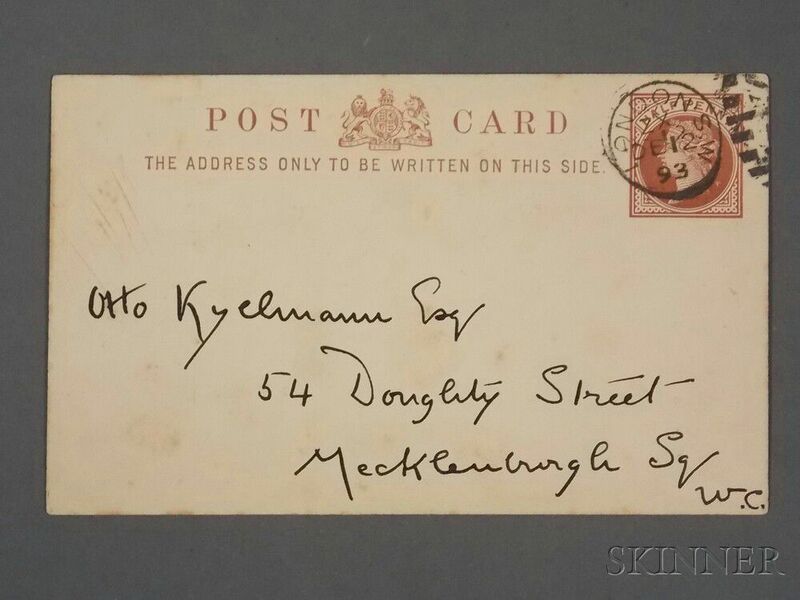 Postcard addressed to Otto Kylemann of 54 Doughty Street, London, postmarked 1893: "Dear Kylemann, I am all right again I am glad to say. Do come in on Thursday afternoon. 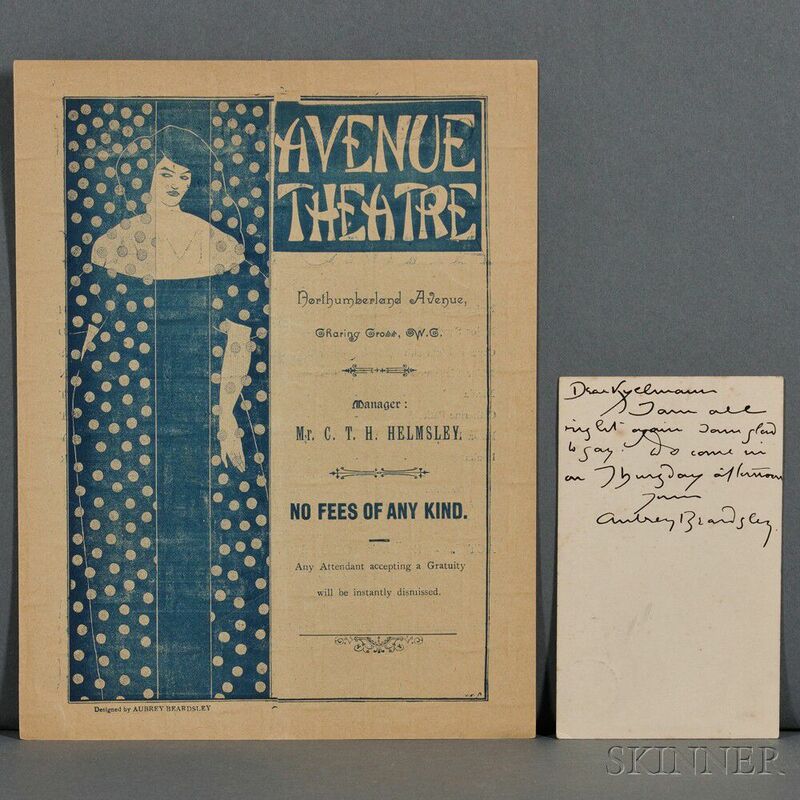 Yours, Aubrey Beardsley," 4 3/4 x 2 7/8 in.